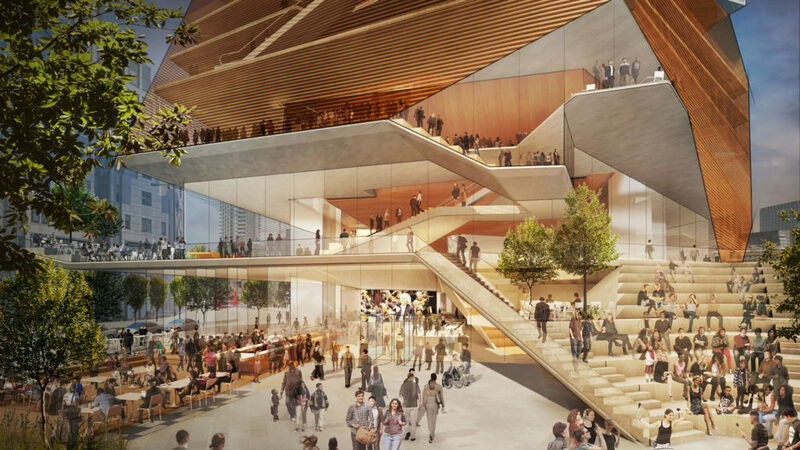 The concert hall is being developed to coincide with the City of London Corporation’s Culture Mile. 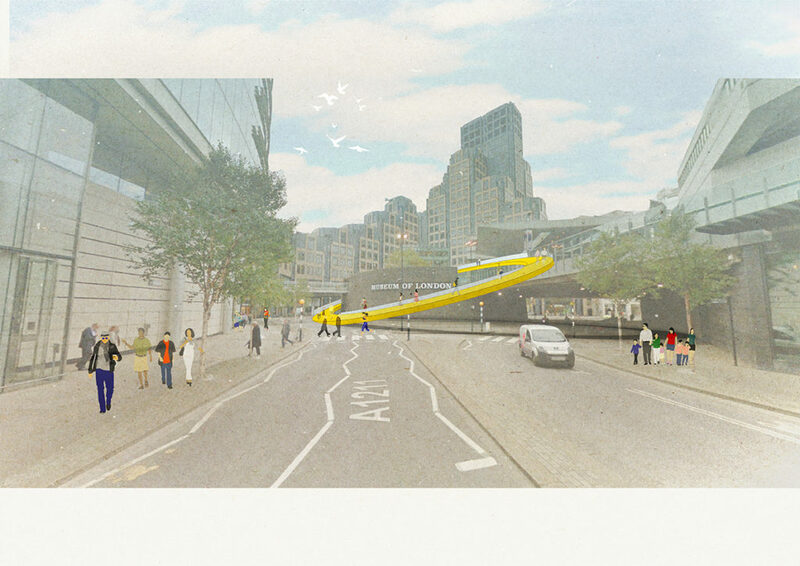 It is was this exciting news that reminded us of the fun proposal that we submitted as part of a competition for a series of installations along the new culture mile. 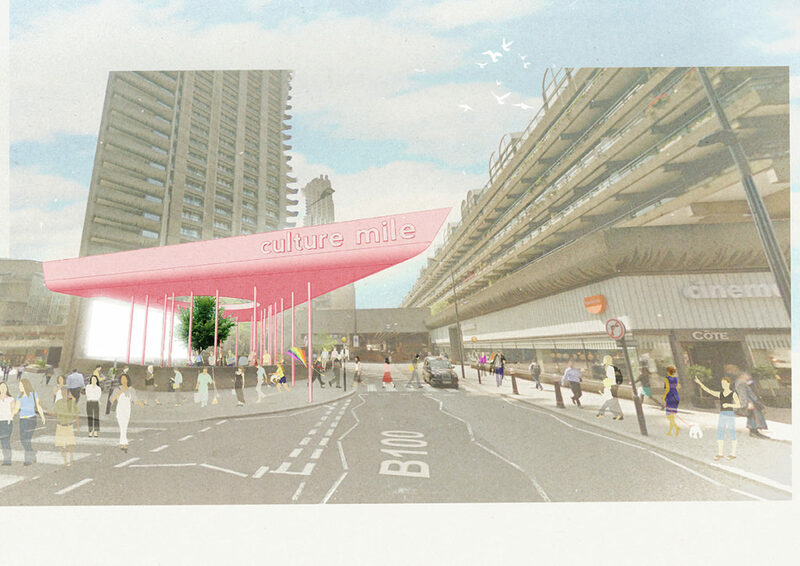 Culture Mile was instigated to provide a new home for contemporary culture within the walls of the City of London. Despite the numerous prestigious institutions that characterise this part of London, it is arguably the corporate character that dominates the streetscape. It was our interpretation of the brief that the proposed installations should draw this cultural character out on to the street. Mile Markers is a series of architectural installations at four of the Culture Mile’s most prestigious institutions – Barbican, Smithfield Market, Guildhall School of Music and the Museum of London – designed to highlight culture and creativity within the Culture Mile in a fun and memorable way. Despite the rich history and venerable character of the Culture Mile institutions, their presence is often buried in a district that lacks colour, orientation and joy. Mile Markers draw attention to the Culture Mile institutions, announcing their presence to the public and assisting in way finding through the district. Each Mile Marker is a distinct brightly-coloured form that reflects the architectural language and internal functions of its respective institution – they encourage interaction, discovery and delight for visitors and bypassing pedestrians alike. Each Mile Marker installation hosts a diverse offering of exhibitions and live performances to animate the Culture Mile seven days a week. Programming at the four Mile Markers accommodates content from each of the associated institutions, as well as events from key businesses and organisations in the vicinity, supporting the overall social and economic growth of the Culture Mile community. The winning entry was submitted by Spacehub. Their concept, much like our Mile Markers proposal, comprises numerous beacons set along the Culture Mile to act as points of orientation while simultaneously drawing the aforementioned institutions out on to the street. The Culture Mile project is on-going with numerous temporary and permanent structures, exhibitions, performances and workshops programmed for the site over the coming years. For a programme of upcoming events check out the website here.